Occupational Therapy programs focus on fine and gross motor coordination, concentration and memory skills as well as socialization skills. Woodwork, beadwork, tapestry, fabric painting, glass-painting, memory games and word searches are amongst the activities. Cooperation groups aim to de-stigmatize and educate the residents about mental illness and to teach appropriate social and occupational skills. Conflict resolution groups highlight behavior and stress management. Family support groups help the families of mentally ill people to understand and cope with mental illness. This, in turn, assists the residents who benefit from deeper understanding of their conditions. Sandringham Lodge is a residential facility, situated on the beautiful and secure grounds of Sandringham Gardens, and caters for up to 35 chronic mentally ill people. It is also possible for people to become day residents, participating in the daily program and then returning home at the end of the day. There is no hint of institutionalization at the Lodge, which is designed to provide a comfortable “Home from Home” in surroundings that are homely and entirely non-threatening. Three nutritious kosher meals are provided daily and the atmosphere is conducive to Jewish life with special meals being served on Shabbat and Yomtov. The TV lounge, games room, and tranquil gardens offer time and freedom for socialization and relaxation, while proximity to many synagogues in the area makes it possible for residents to interact with the community should they wish to do. The daily program is structured and productive and the Psycho-social Rehabilitation Program includes life skills, during which personal hygiene, housekeeping, motivation, responsibility, self-esteem, grooming, etc. are discussed. The work program provides every person who is able to work employment. Either in the World of Work project which provides employment within the Chevrah Kadisha Group for those who are unable to cope in the open job market, or in the Kadimah Occupational Centre which offers sheltered employment for psychiatrically ill people. Woodwork, beadwork, tapestry, fabric painting, glass-painting, memory games and word searches are amongst the activities that are offered at our facility. Cooperation groups aim to de-stigmatize and educate the residents about mental illness and to teach appropriate social and occupational skills. Conflict resolution groups highlight behavior and stress management. Family support groups help the families of mentally ill people to understand and cope with mental illness. This, in turn, assists the residents who benefit from deeper understanding of their conditions. Occupational Therapy programs focus on fine and gross motor coordination, concentration and memory skills as well as socialization skills. 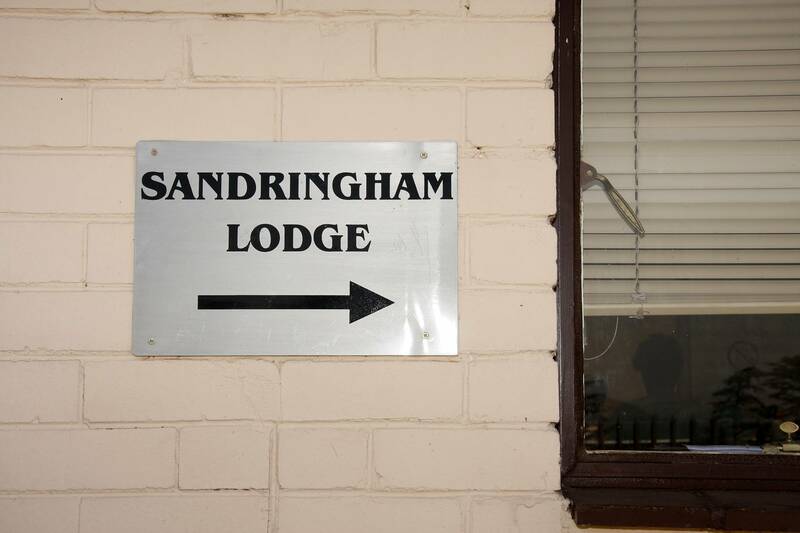 Sandringham Lodge is a Mental Health Facility – A project of the Johannesburg Chevrah Kadisha. 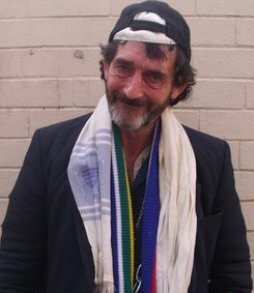 Sandringham Lodge was established in November 2002 after extensive research revealed that there was a need for suitable facilities for Jewish mentally ill people in the Johannesburg area. Tolerance seminar at Yeshiva One of the major issues that challenges the lives of people living with mental illness, is stigma. It is essential to recognize that a mental illness does not define a person who suffers from it in his or her entirety. As is frequently said, “I am a person WITH a mental illness… not a mentally ill person”. Daniella was given the support of staff from Chevrah Kadisha Community Social Services and Sandringham Lodge to develop and implement a program at Yeshiva College for girls aged 15 to 17. A very successful seminar was run, attended by approximately 120 pupils. This model will be replicated with other groups and at other schools with the aim of demystifying misconceptions about mental illness and eradicating stigma. Facilitators and speakers for the seminar were Danielle; Lijahne Beetge (manager of Sandringham Lodge); Darrin Wolberg (social worker at Community Social Services), who gave an informative talk about causes, symptoms, treatments, where one can go for help, the myths about mental illness and the rights of someone living with a mental illness; AC (mother of a resident of Sandringham Lodge); who described what it is like having a daughter with a mental illness - the effects on the family, her marriage and on her daughter’s life, and MJ (resident of Sandringham Lodge). MJ related her personal story about what it is like living with a mental illness. She stressed that she was first and foremost an ordinary person - a woman, a wife, mother and grandmother, and that her mental illness was only one part of her. What is misunderstood is feared, and what is feared is often stereotyped and turned into an object of dislike. The more people understand about mental illness, the more dignity they can afford to ordinary people with a mental illness. Although Malcolm Fisher’s speech is not always clear, his intelligence, determination and wit come across with crystal clarity. In his early twenties, Malcolm was involved in a tragic hit-and-run motorbike accident. He was taken to hospital with severe head and back injuries and spent the next 3½ years being moved from one hospital to another. His speech was badly affected and he couldn’t walk. During his extended hospital stays Malcolm often went home on weekends. One of the things he most appreciated was that his parents treated him ‘normally’. He philosophises about people in similar circumstances who thrive on pity but believes it is actually compassion that is vital. The accident occurred on the very day he completed his army training, with his entire future ahead of him. Always an exceptional student, (he skipped 3 classes at school) and bored with his medical studies after the first two years, Malcolm had decided to enrol for his compulsory army service. While in the army he completed the first year of his law degree through UNISA. Malcolm has given motivational talks to people in the Trauma Unit at the Jo’burg Gen. He believes that people should listen to each other and not just hear. Although his friends from the past have fallen by the wayside, Malcolm says he will never forget them. He thoroughly enjoys the visitors he does receive and couldn’t help mentioning that one of them is the well-known radio personality, John Berks! Malcolm’s father has passed away. His mother resides at Our Parents Home and he regrets that he cannot visit her more often. His sister lives in Australia and Malcolm is extremely proud of the photographs she sends him. It is a pleasure to talk to Malcolm and he has much to share - not least of which is his delightful, mischievous sense of humour! “Faith, laughter and music are the best medicines”, he says.